Article XVIII. Of obtaining eternal Salvation only by the Name of Christ. For Holy Scripture doth set out unto us only the Name of Jesus Christ, whereby men must be saved. The Lambeth Quadrilateral. The Lambeth Conference of 1888. Resolution11. (a) The Holy Scriptures of the Old and New Testaments, as “containing all things necessary to salvation,” and as being the rule and ultimate standard of faith. On the Consecration of a Bishop. Are you persuaded that the Holy Scriptures contain all Doctrine required as necessary for eternal salvation through faith in Jesus Christ? And are you determined out of the same Holy Scriptures to instruct the people committed to your charge; and to teach or maintain nothing, as necessary to eternal salvation, but that which you shall be persuaded may be concluded and proved by the same? 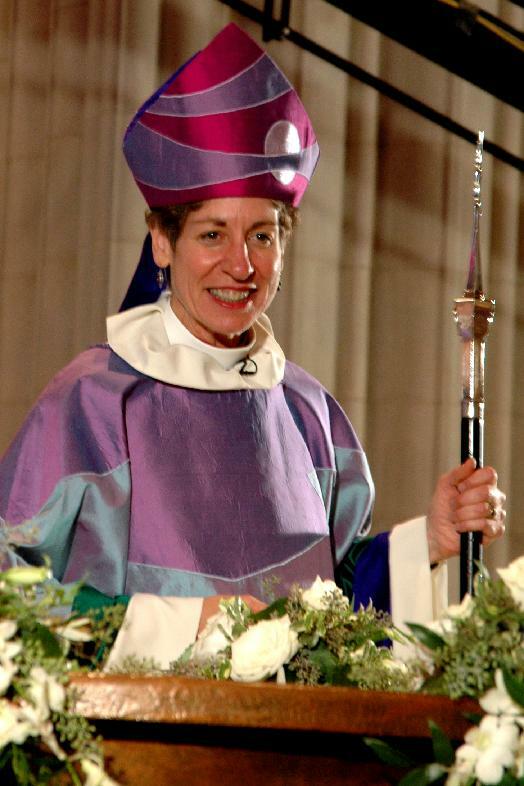 Recent statements, comments and interviews by the Presiding Bishop of The Episcopal Church, Katharine Jefferts Schori, reveal a common theme: she no longer (if she ever did) believes in the unique claims of Jesus Christ as both savior and Lord resulting in a poor if non-existent Christology. She has publicly said that Muslims do not need converting to Christ and that she would never tell them they do, or that Jews are saved under the first covenant. In her most recent statement, uttered publicly at General Convention in Anaheim, she stated that personal or individual conversion (to Christ) is a Western heresy and likened it to “work” rather than that of free grace. This entry was posted on Thursday, August 20th, 2009 at 10:51 am	and is filed under Uncategorized. You can follow any responses to this entry through the RSS 2.0 feed. You can leave a response, or trackback from your own site.